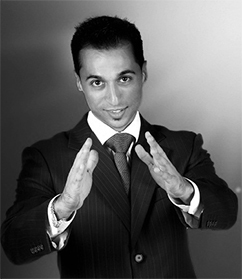 The Best Motivational, Inspirational and Leadership Speaker in the Middle East, Asia, and Indian regions. Author of The Book on Winning the Game of Life. Kevin is a world authority in personal development, a motivational speaker, the author of books on business and life strategies, a public speaking coach, and a world renowned expert in business and life success. Kevin shares with his audience ideas and strategies that are focused on getting awesome results without using jargon, fancy language, or fluff. He works with individuals and also holds group events that are focused on personal development and life transformation. That’s why companies such as FedEx, GM, HP and Unilever attend his personal development conferences. An expert in business development and strategist, Kevin works with Fortune 500 organizations, leading government agencies, and forward thinking companies. He designs work strategies, workshops and conferences that push them to make changes based on the ideas of fast growth and proven techniques for business success. Kevin is also a highly sought after motivational speaker who was voted 2017s Top Motivational Keynote Speaker. His compelling and punchy style has motivated and inspired countless people to build better lives and better businesses. An author of top rated books on boosting business outcomes, practicing better communication, achieving real personal growth, public speaking and leadership, Kevin has inspired people from all walks of life to live better and work better.